The best link page to Playstation Sites and desktop themes of Final Fantasy! Go to "Electronic Gaming Monthly"
Go to "Phosphors Magazine (Japanese)"
Go to "Ultra Game Player's Magazine"
Go to "PSM Magazine. 100% independent Playstation Magazine"
Go to "Psxnation" A nicely designed site with many reviews. Go to "The Zone" Play lots of internet games here, FREE! Go to "Mplayer" Another Multiplayer Gaming zone in the internet. Go to "Strategy Central" It has strategies, walkthroughs, and cheats for the games. It even has downloads for the games. Starcraft clan. Go to "Serpent's download" One of my favorite themes for the desktop are available here. Battle Arena Toshinden theme, Street Fighter, Dragon Balll, Fatal Fury, Gundam,Samurai Showdown and Macross themes are also available in this site. Go to "Playstation Pro Shop" Agood sale Site, Too bad it's for HK and Macau customers only. Go to "Intertain Shopping Center" Sells games from Europe and Japan, USA. UK based. 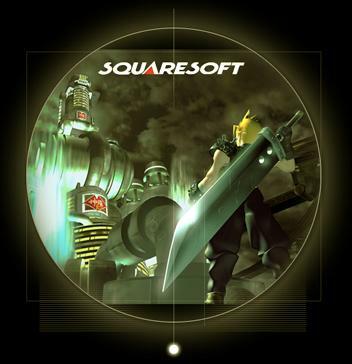 Go to "Gamecave" Sells lots of imports and Game musicCD's like of Final Fantasy. Go to "Electronic Arts" The company that brought you Nuclear Strike.